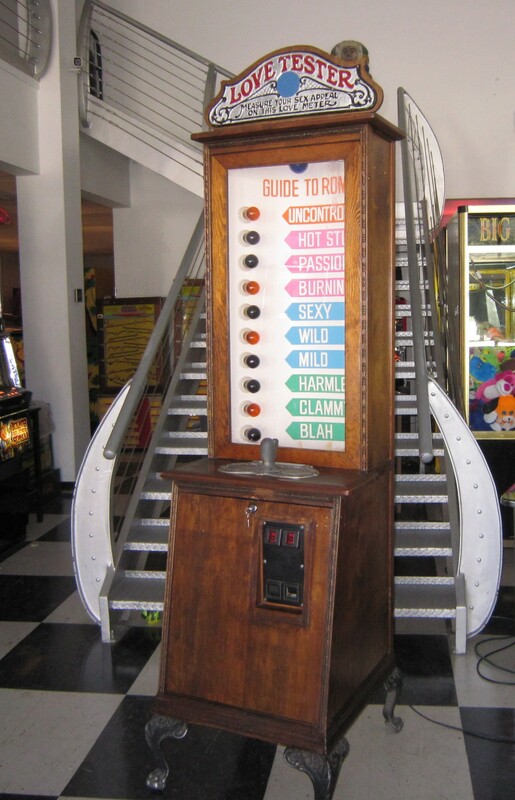 Love Tester Arcade Game | Fun! 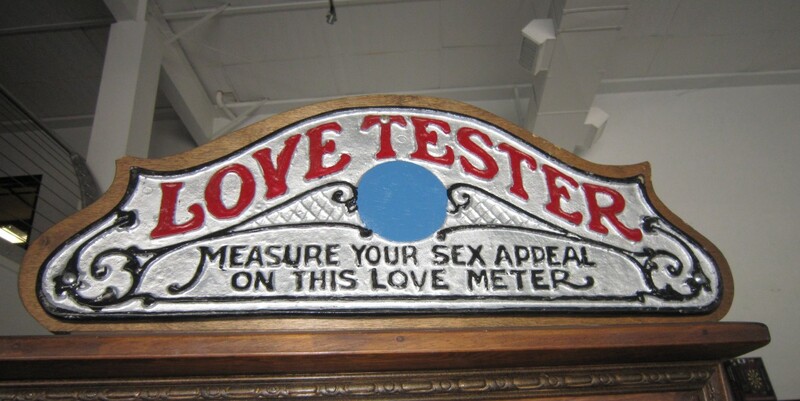 Originally introduced by Exhibit Company in the 1930’s, this is the 1970’s antique reproduction by Mike Munves Corp. of the all time favorite, The Love Tester. 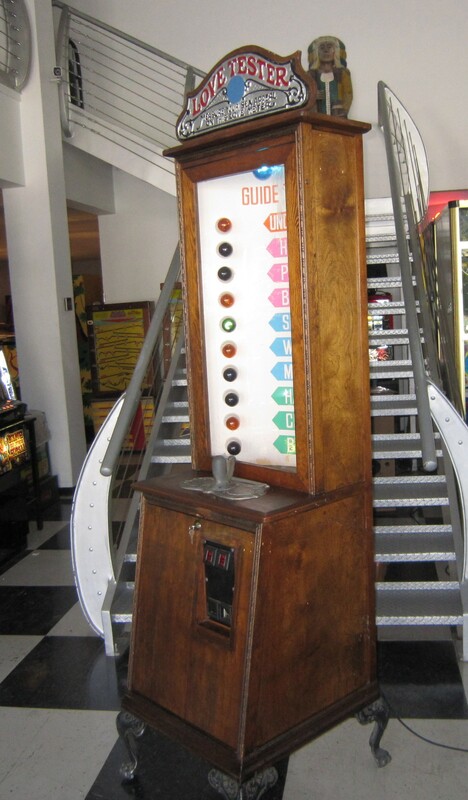 Insert a coin, pull the handle and let the fun begin. Bells ring and lights flash from reading to reading. 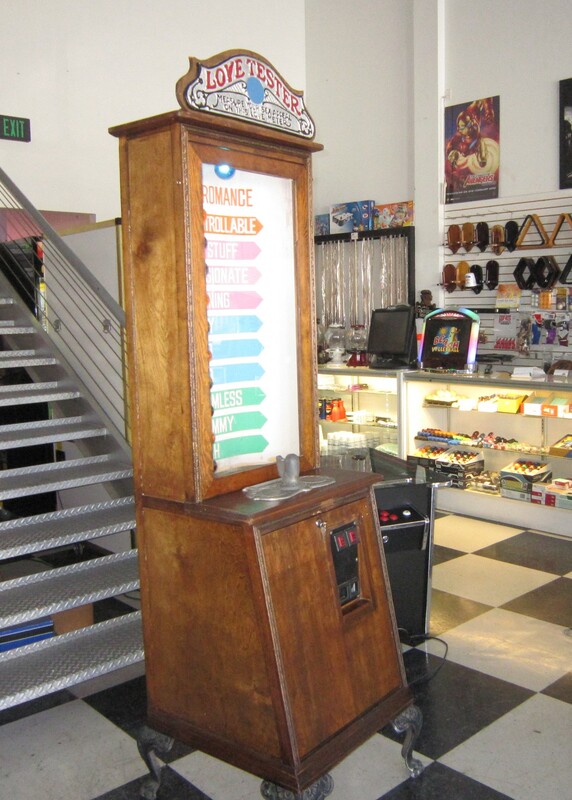 The flashing stops and laughter starts!